David S. Cohen (sign up to read). Concise review of the history of East Coast Natives (draft). Anna Bell Pierce Coombs ~1850 - ? Most Family History Reports updated. A 10-year-old paper Betty and I were working on, now somewhat dated. More work needs to be done. Parts of it have been posted to Ancestry.com by many folks. Many of the genealogical details have been worked out and are posted elsewhere on this site..
All Family Reports under our control have been updated. 10 Sep 2008 - Gouldtown cemetery photos completed. Many unreadable stones. Please help decipher them. Case Study of Nanticoke Community by Frank Porter, et. al. a Drain -- who is this? a Johnson -- who is this? H. P. Harmon - who is this? 16 May 2006 - Posted over 340 images of New Jersey death certificates. 21 Jan 2005 -- Family History Reports updated and several families added. 04/07/2004 -- newspaper article & photo, Perry Hughes & his ancient corn mortar. The connection between Indiana and the Delaware Indian communities -- thoughts of Mitsawokett group members. 01/18/2004 Added more death certificate extracts, thanks to Lorraine Johnson-Gregg. Additions are in black. 07/10/2003 The Main Menu page has changed to make it faster loading. Much of the material once read on this page is now linked to. 06/14/2003 Added more death certificate extracts, thanks to Lorraine Johnson-Gregg. Additions are in black. Now about 800 extractions on one page. 04/06/2003 Added 91 death certificate extracts, thanks to Lorraine Johnson-Gregg. Additions are in black. 03/17/2003 Added many more death certificate extracts. Please send us any you may have which are not posted to the site. www.Mitsawokett .com/DNA Testing.htm for the complete history. Enough of you (more than 10) have volunteered so that we qualify for a group rate of $175 per test using Oxford Ancestors (www.oxfordancestors.com). This is down from an individual test price of $220, but not quite as good as the $160 rate we could get if we had more than 20 volunteers. Several of us have discussed off-line whether or not to wait for more volunteers, and decided that we should go ahead and send the application for the tests with the volunteers that we currently have. I will assemble the responses into one application, so that we qualify for the group rate quoted above, and send it to Oxford Ancestors. Once Oxford Ancestors receives the application, they will send out the DNA sampling kits with full instructions to each volunteer. You will return the test sample to Oxford Ancestors along with the required payment. They hold the check until the test results have been mailed out to you, which is approx. 6 weeks after they receive your sample. The results are confidential, so it will be your choice whether or not to share the findings with the group (although we hope that you do). If you are interested in sharing the results, would you please let me know whether or not your maternal line can be traced to one of the Mitsawokett families, and if so, please specify the line, starting with yourself, then your mother, her mother, her mother, etc. If any of you shows up as belonging to a DNA group of Native American origin, it means that every woman along your maternal line likewise belongs to the same group, which anyone else who can claim descent from one of these women might be interested to know. overall evolutionary framework; and information about the life and times of your maternal "clan" mother. Refer to www.oxfordancestors.com/matriline.htm for further information or to see a sample of the certificate that they send. can indicate Native American paternity. Therefore, if you were interested in this test for this specific reason, you do not want the Y-chromosome test from Oxford Ancestors. However, if you are interested in pursuing this type of test, there are other organisations whose Y-chromosome DNA test does look at the specific site for Native American paternity. The Y-chromosome test that Oxford Ancestors currently performs can be used instead to help clarify relationships between people who are thought to descend from a common paternal ancestor. For case examples, refer to www.oxfordancestors.com/stories.htm. results we may learn from the tests. 10/14/2002 -- Discussions added. Comments and contributions are desired and welcome. Use the email link at the bottom of this page. 09/27/2002 DNA TESTING E-MAIL THREAD: "...the problem we have (is) "proving" Native American ancestry. If there is a way to prove it, this type of genetic testing may be what we need." 08/16/2002 Photographs changed from the Rootsweb site to http://nativeamericansofdelawarestate.com/Mitsawokett Photos/IndexA-C.htm -- note just one "t" in Mitsawokett. There are now 2 servers associated with Mitsawokett : Mitsawokett.com and Mitsawokett .com. Harmon, Warren Brewster (Nippy) Sr.
and sometimes with people when IDing. 12/09/00 All family history reports created by Mitsawokett have been updated. 09/29/00 Loading more photos & also Sussex County marriages thanks to Robert Jackson. Go to Levin & Eunice Sockum for text & photos. There has been some speculation that the trial of Levin Sockum fueled the migration of many of the mixed-blood community to Ohio & Michigan in the late 1850's-1860's. 09/19/00 Added obituaries from Jim & Ellen Scarborough to bring total to about 790. Added photos from Stacey Cooper and Lishia Durham Heard. Working on photos from Anna Coker, Mae Collins, Delores Sammons and Alice Conley. Loaded photos & brief history of Forest Grove SDA Church in "Church Records" section. 09/15/200 Added interment records of Forest Grove SDA Church, near Cheswold. These are the names of people buried with and without stones since the founding of the church around the turn of the century. Our thanks to Matt Sammons. 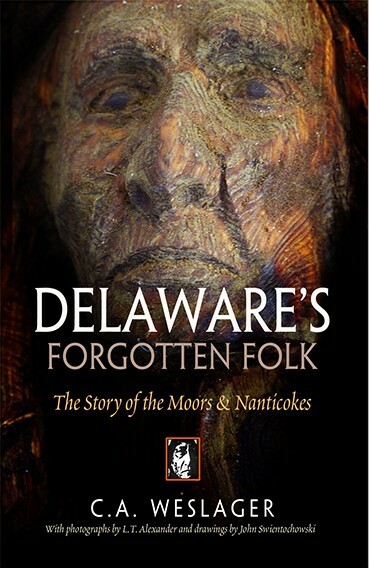 09/13/00 Fixed links to "Moors of Delaware" articles. Obituary count over 750. Added photos from Matt Sammons. 08/17/00 Added Heite Consulting's Reports to the Main Menu, with permission, while Ned Heite is having difficulties with his web site. Also continuing additions to photographs and obituaries. 06/22/00 Cheswold Fire House meeting ("Bloomsbury") photos added & identified. PowWow photos, Cowtown, NJ 6/10/2000 being uploaded. Family photos continue to be slowly uploaded. 05/01/00 Photographs section added to Main Menu. The index is being constructed first. Photos will be added as time permits. 05/01/00 Obituary count now over 670. 01/04/00 Asbury Methodist Church, Smyrna, DE: Alphabetical list of baptizees, parents & ministers up to 1903 uploaded to site. 01/01/00 Asbury baptisms 1897 - 1903 loaded. Baptisms Index not yet put together. 12/28/99 All Asbury marriages, 1872-1972, have been loaded except 1936-1942, which are missing. The alphabetical list of names also covers 1872-1972. 12/24/99 Asbury marriages now to 1890. Alphabetical list of names 1872-1890 uploaded & linked. 12/23/99 Began loading Asbury Church, Smyrna, Delaware, marriages and baptisms 1872-1972. Access via Main Menu, "Church Records." This will take some time to complete. Now on the site: Marriages 1872-1887. 12/19/99 Completed change from GeoCities server to Mitsawokett.com server. If the reader sees "geocities" in any part of the URL of the page being read, the wrong server has been accessed. Back out and load http://nativeamericansofdelawarestate.com. Updates will be made only to the Mitsawokett.com site. If this occurs again, please tell us so that we can fix the problem. 12/17/99 Added Family Reports: Robert Munce born ca. 1770, Delaware; William Durham born ca. 1806, Delaware, contributed by Ed Bush; another William Durham born ca. 1818 (married Mahala Songo) in Delaware; and Peregrine Cork, died 1833 in Delaware, James McCarty, born 1770, of Caroline Co., Md. .
Oct-Dec 1999 Added Wayne County, Michigan vital statistics. Edited all pages to accommodate the change of servers from GeoCities to Icom. Updated most family desendancy reports. Sept 1999 Added obituaries; now over 500. 08/17/99 Changed URL of first page to www.Mitswokett.com -- the other pages will gradually be moved to the new server. This change will result, eventually, in the elimination of pop-up ads on the Family Reports pages. 06/21/99 Obituary count now over 370. Working on 130 more. 05/31/99 Added about 40 obituaries. 04/03/99 Updated "Descendants of Daniel Durham b c 1690"
03/24/99 Added "Descendants of Purnell b c 1818 & Rebecca (Miller) Mosley"
03/23/99 Added "Descendants of John b c 1815 & Sally Mosley"
03/23/99 Updated "Descendants of Wingate b c 1820 & Nancy Mosley"
03/09/99 Added ca. 70 obituaries. Split obits into 4 sections for faster loading. 03/03/99 Added ca. 110 obituaries & announcements. 03/02/99 Added Fordsville Cemetery, Fordsville, Cumberland, N.J.
03/01/99 Changed link to Cemeteries on Main Menu to enhance loading time. 02/27/99 Added 130 marriages of Sussex & Kent Counties. 02/26/99 Working on updates to most family descendancy reports. 02/26/99 Added Sunset Memorial Park Cemetery, Delair, N.J.
02/05/99 Split opening pages to enhance loading time. 01/29/99 Added Cedar Hill Cemetery inscriptions, Bridgeton, NJ. 01/15/99 Additions and corrections to Manship Cemetery. 01/13/99 Additions and corrections to Fork Branch Cemetery. 12/19/98 Additional names & corrections to "Greater Dover Area Death Records"
12/18/98 Editing "Ongoing Research pages." 12/14/98 Added to the Mitsawokett Menu: . 1. Selected births, deaths and marriages from the Delaware Public Archives . 3. Selected Magnolia/Dover/Cheswold area records which include spouse and/or parents of deceased persons. 12/04/98 Completed "return to menu" changes on Family History Reports pages. All pages should now link properly. Please let us know if you find a broken link. 11/23/98 Resolved copyright status of Delaware's Forgotten Folk. Click it to view the e-mails. 11/23/98 Added link to Nanticoke Indian Ancestry, by Nanticoke9 of the research group. 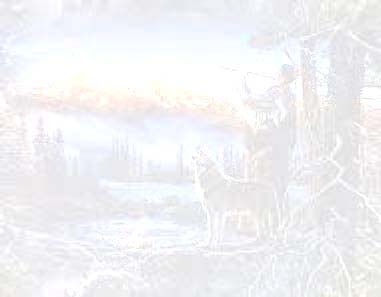 11/22/98 Split Mitsawokett Introduction from Menu to enhance loading time of first page. The "return to menu"
links on many pages have still to be changed. 11/21/98 Changed URL's to Weslager's, Moor & Tri-racial Isolate articles to eliminate Geocities pop-up ads. 11/7/98 Added 3 sections pertaining to C. A. Weslager: .